New Delhi: In his youth, Shankaraditya Sen was a shy man espousing ideal of the extreme left. He was very much influenced by the Naxal movement, wanting to erase discrimination between the haves and the have nots. Those who knew him then insist Sen wished for an equal society. He met Charu Majumdar during those years of his wandering in the early 1970s. It's but ironic that years later, he has emerged as the brain behind one of the most cunningly conceived scams where the poorest of the poor were conned. Shankaraditya Sen and Sudipta Sen are two names of one individual. Before changing his name, his heart bled for the proletariat. Now he does not think twice before robbing a poor investor for whom Rs 3,000 was a lifelong saving. Such was his mastery over deceit that in a letter to the Anti-Corruption Bureau, he wrote, “I started my business not for becoming a rich man but to establish the ideals and ideologies of Ma Saradha, to help poor and needy people of rural and semi-urban areas of India." He was born in Kolkata in a middle-class Bengali family. Sudipta was the third among four brothers: Shukla, Shiladitya, Shankaraditya and Bikramaditya. His parents Nripendranarayan and Renukana Sen, like many Bengalis of that era, migrated from what we now know as Bangladesh. Sudipta’s parents had government jobs with reasonably clean track records. His mother worked for Calcutta Telephones as his father worked for Survey of India (now called the National Survey and Mapping Organisation which functions under the Department of Science & Technology). Sudipta's naxal inclination was from his formative years when the Sens moved to the Entally area of central Kolkata. In the 1960s, the Sens lived in Hazrabagan Lane of Entally that had a strong naxal sympathy base. It was when Bengal was ruled by the Congress, and Siddhartha Shankar Roy was the chief minister — known for his hawkish policy of suppressing the naxal movement, Entally witnessed many a police raid under the suspicion that the locals were offering shelter to naxal rebels. The government's suspicion wasn't baseless. In fact, Sudipta Sen's first interaction with Charu Mazumdar happened in Entally. Some contest that theory, though. 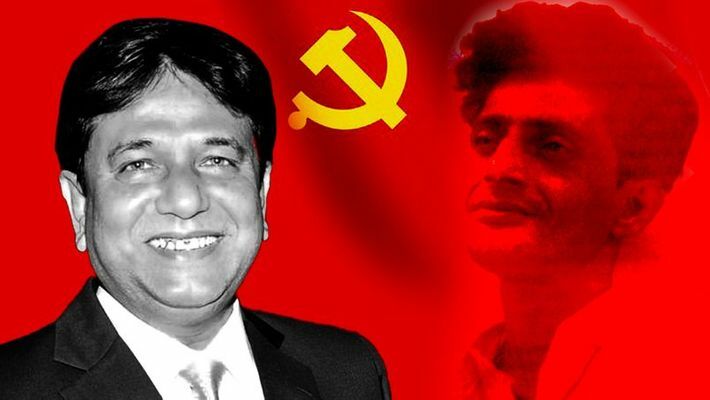 The man who espoused an ultra-left cause like snatching land from the zamindars and distributing it among the poor pretty soon landed in jail. He came in close contact with other naxals and also seasoned criminals in the prison. Those who knew the Sens insist the criminals left a bigger mark on Shiladitya alias Sudipta. 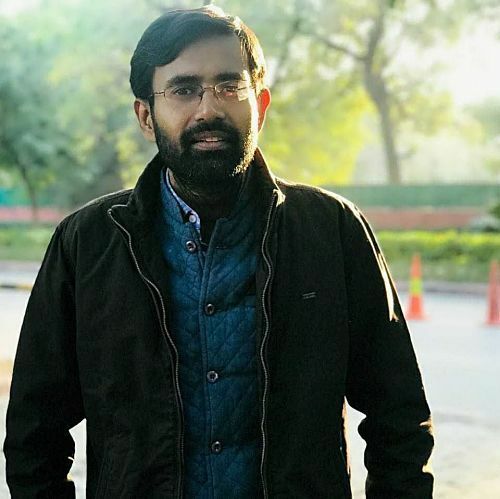 Like a scene straight out of a Bollywood potboiler, Shiladitya emerged as Sudipta Sen.
With the new name came new ideals, new priorities and new social understanding. He focussed on money-making and entrepreneurship. Sen started off as a small-time broker with lands in Survey Park in Santoshpur to Arjun Park. He grew up with naxals in Entally but turned out as a man with a criminal bent in the same place. The metamorphosis was complete by then. His business seemed to be primarily in the real estate sector. But soon, he saw opportunities in chit funds. Saradha was a Ponzi scheme where astronomical returns were promised, which went up to as much as 40% of the investment! Saradha was a consortium of around 239 private companies that ran a collective investment scheme. When SEBI confronted Saradha for the first time, way back in 2009, Sen adapted by opening up to 200 new cross-holding companies to create an extremely complex web of deceit. To put things simply, a massive pyramid of agents recruited from rural Bengal were employed to collect money from the unsuspecting poor to the gullible lower middle class. The minimum investment proposal was of a meagre sum of Rs 1,000 — with the promise of an astronomical return. The promise was made only to shut the company and flee. During this, with enormous funds at his disposal, Saradha group invested in the film industry, media, football clubs, etc. What helped him was his close connection with TMC biggies like Kunal Ghosh, TMC MP Shatabdi Roy, Bengal minister Madan Mitra and many more. Shiladitya often wanted a world where the poor would get their due. He did not think twice before flirting with naxalism in pursuit of that. But Sudipta Sen, the architect of the Saradha scam, did not think twice before robbing the same poor of their lifelong earnings.